Ada soalan mengenai Dar Anika? Jika apa yang anda cari adalah hotel dengan lokasi menyenangkan di Marrakech, cuma perlu lihat Dar Anika. Hotel ini tidak terlalu jauh dari pusat bandar: hanya sejauh 1 km, dan kebiasaanya mengambil masa kira-kira 15 minit untuk sampai di lapangan terbang. Juga terletak berdekatan adalah Place des Ferblantiers, El Badi Palace, Atelier El Bahia. Ambil kesempatan daripada pelbagai perkhidmatan dan kemudahan yang tiada tandingan di hotel Marrakech ini. Kemudahan utama hotel termasuklah khidmat bilik 24 jam, Wi-Fi percuma semua bilik, pengawal keselamatan 24 jam, pengemasan harian, pendiang api. Semua bilik tetamu menawarkan pelbagai jenis tahap keselesaan. Banyak bilik turut menyediakan pendiang api, selipar, internet wayarles, internet wayarles (percuma), bilik larangan merokok untuk memuaskan hati tetamu. Hotel ini menawarkan kemudahan hebat, termasuk padang golf (dalam jarak 3 km) , kolam renang tertutup, spa, rumah urut, solarium, untuk membantu anda berehat selepas hari yang penuh aksi di bandar. Apa juga tujuan lawatan, Dar Anika merupakan pilihan yang terbaik bagi penginapan anda di Marrakech. We totally enjoyed our stay here. 4 of us all over 80 - but mobile - and the staff headed by Leanne could not have been more considerate and helped us as to what to do, where to go and how to get there which was important to us. We ate two dinners in and enjoyed the food. I think your photo is a bit fanciful but that did not matter and we found lots of space for sitting out both inside and on the roof terrace. All in all we would recommend without hesitation. fantastic riad with even better staff a beautiful oasis of peace in the middle of the bussyness of Marrakech. the staff is beautiful, polite, eloquent ... We enjoyed every moment of our stay. Recommendations!!! Superb service and stylish decor. Staffs are very thoughtful. deliver a glass of ice cold watermelon juice when you return from the walk in the heat. Packed sandwich lunches on our day of departure, all the details are been taken care of. We ate both night dinner at the hotel and absolutely enjoyed the food and hemispheric. We will for sure stay there again. My friend and I spent a weekend at Dar Anika in Marrakech. The location and the price cannot be beat. The service is excellent and the staff is very accommodating. Whole heartedly recommend Dar Anika. We loved it from the moment we arrived and were given breakfast, cakes and drinks, to the moment we left. The staff couldn't do enough for you and the Riad is just beautiful. I would definitely recommend for a safe and secure stay in Marrakech. The owners, the staff, the care and attention to detail. 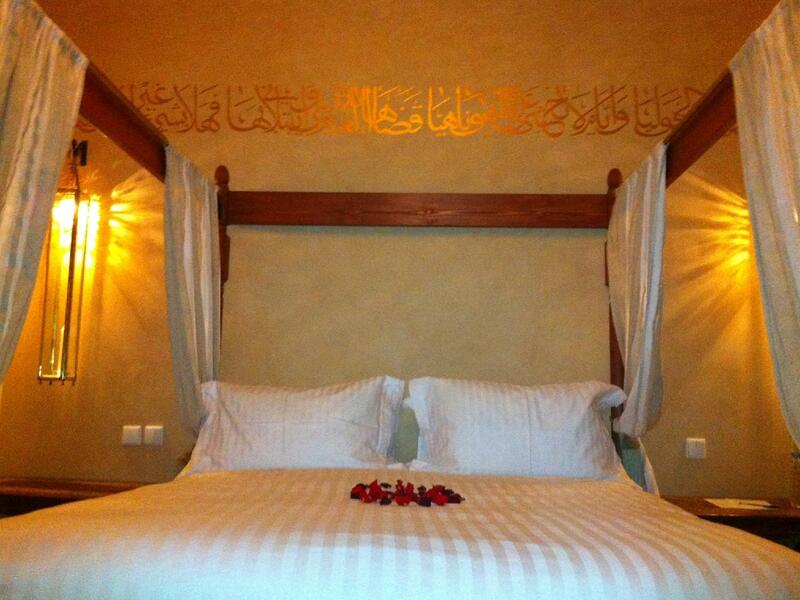 We would definitely recommend Dar Anika to anyone and are already planning a second trip! It is the best and most personal service we've ever received and we've stayed in numerous five star hotels all over the world. The owners and staff are very friendly and genuine and made us feel completely at home, every tiny detail had been looked after. The food was amazing and our vegetarian and vegan diets were catered for. The Riad itself is gorgeous with an amazing roof terrace and a swimming pool. Would also definitely recommend a Hammam treatment in the hotel. Absolutely nothing can be faulted, thank you all so much! We had a great stay at Dar Anika. From the moment the driver picked us up from the airport, until we left, we felt like special guests and were well looked after. The staff are extremely attentive and helpful, including Abu, who helped offer ideas of things to see and places to visit. The riad is extremely well located at the edge of the medina. 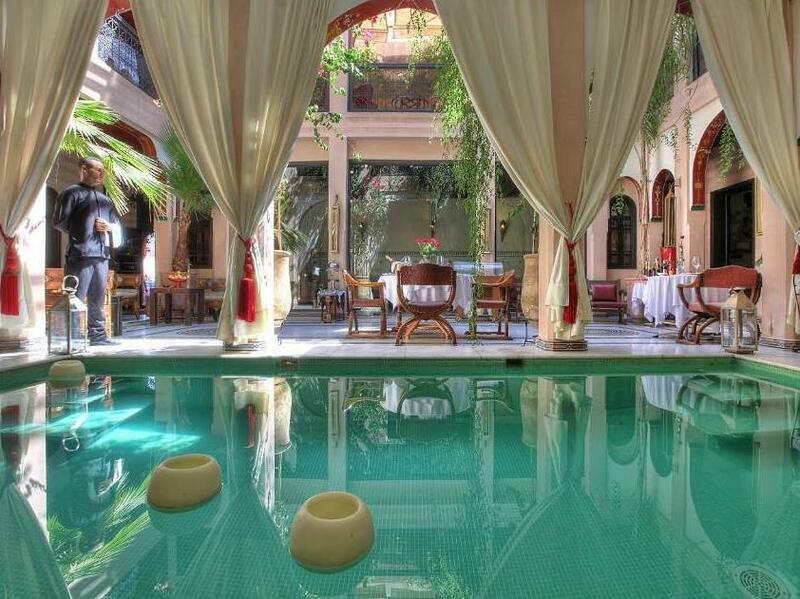 Dar Anika is a little oasis of calm in the middle of the hustle and bustle of Marrakech. Service from the staff, attentive management, location. 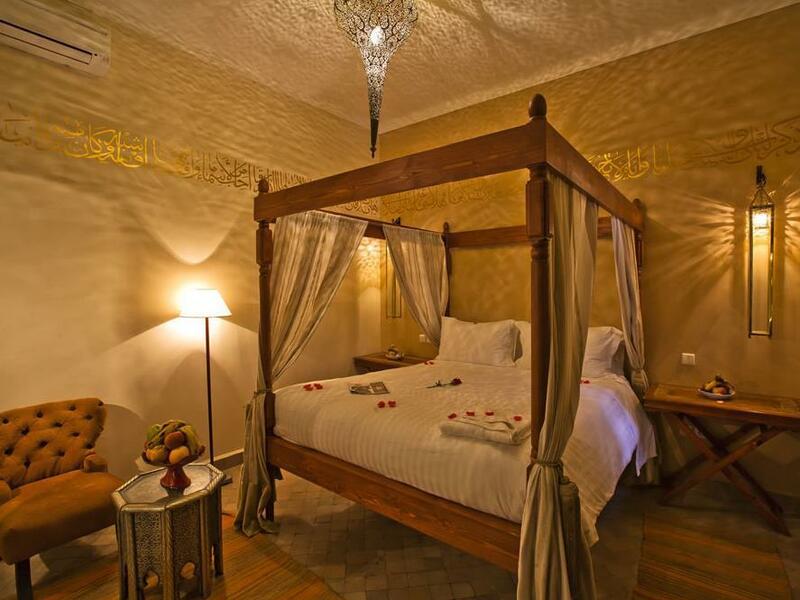 This Riad has an excellent location about a 10 minute walk to the center square of the medina. The owner/manager met us the first morning and helped us plan our stay. Keep in mind when booking a Riad that your room will not likely have any outside facing windows or view. We stayed for 5 nights and I think this was a bit too long for this type of accommodation. While in your room it is quite and dark so you start to get the feeling of living in a cave. Breakfast was very good and we also did a Hamman and massage at the Riad which was also a good experience. Overall a good experience but it would have been better if we booked for only 2 or 3 nights to get the experience of the old Medina. Service was exceptional. Abu (owner) and his staff went above and beyond what you would/should expect. 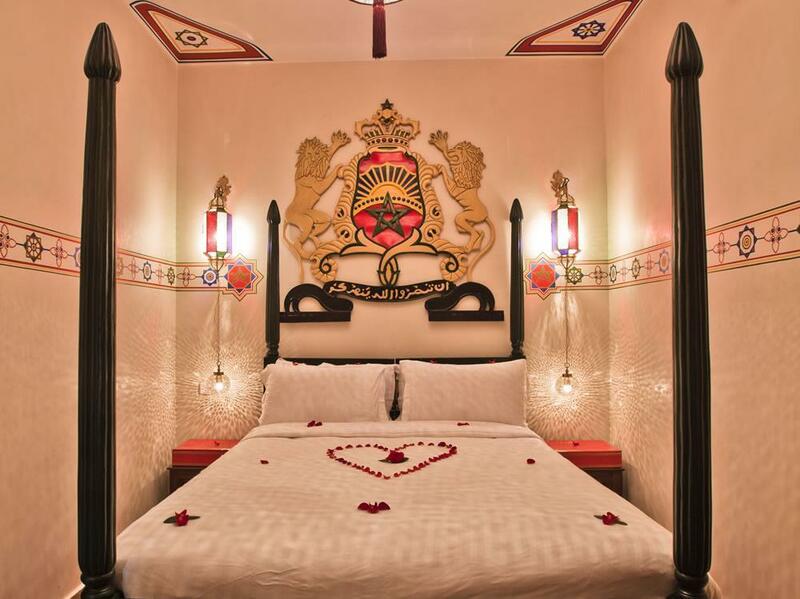 If you like personal attention, Dar Anika is the place to be. From the moment you arrive, everybody is focussed on ensuring that your stay in Marrakech is one you will remember. Abu, the owner personally advises on what to see and experience. The staff are exceptionally friendly and always there to assist in any way they can, and the food was awesome! Our stay was relaxing and comfortable with great attention to detail. Staff were approachable and welcoming. Nothing was too much trouble. I would stay there again. Staff, accommodation and The STAFF! Friendliness - from the management to the room staff and contracted drivers, everyone did all they could to make our stay pleasurable. Location, staff and attention to detail. This hotel is a real find. The staff went out of their way to make sure that our stay was really memorable. They appeared with a cake and flowers for my birthday. We could not rate it highly enough. Go...you won't be disappointed!